For such a mainstream, studio-driven, multi-million-dollar budgeted franchise, the Marvel Cinematic Universe likes to take unconscionable risks with their brand. The mega-franchise’s first phase was composed entirely of B-list heroes that were leagues beneath the franchises whose movie rights Marvel had been forced to sell off to claw back from their 1990’s bankruptcy: namely X-Men, Spider-Man and the Fantastic Four. The Avengers was the kind of ambitious, continuity-driven crossover event that fans had never had reason to think would ever happen on the big screen. Iron Man 3 radically and controversially reimagined the Iron Avenger’s only real arch-nemesis into an invention of malicious mass-media manufacturing. Thor: The Dark World threw the Norse god headlong into his mythological origins, further divorcing the MCU from anything so much as resembling the real world. The Winter Soldier pulled the rug out from under the carefully-laid continuity that had been built up over the previous six years, pitting Captain America against everybody from SHIELD, the US government and his own best friend. And with Guardians of the Galaxy, Marvel Studios rested their mega-franchise’s future on an adaptation of a comic book that nobody – save for the most dedicated comic book fan – had ever heard of before. Four years, one sequel and one crossover later, it’s actually kind of hard to remember why that is. The characters are gorgeously fleshed over their now three appearances. The worlds they occupy are infectiously colorful and fun. Their nemeses are deeply significant not only to the idiosyncratic team but to the MCU’s larger narrative leading directly into Infinity War. This was the moment when Marvel basically proved that literally everything was on the table for the MCU. They took a Z-list property – starring a talking raccoon, an Ent, an overly-literal brawler, an Orion slave girl and the fat guy from Parks and Recreation – ripped off the plot from The Ice Pirates and somehow rode the resulting film all the way to the bank. The film was a critical hit (even more so than most Marvel movies) and was one of the highest grossing movies of the year. After its opening weekend, Warner Bros quietly moved up Batman v Superman’s release date so that it no longer directly competed with Civil War’s opening weekend, because if Marvel could make three quarters of a billion dollars at the global box office with Guardians of the freaking Galaxy, their new class of A-listers were going to tear whatever they put out into theaters apart. Thor dabbled in Marvel’s cosmic reaches, but Guardians of the Galaxy proved that it was a viable direction for Phase 3’s endgame. It expanded on the until now only hinted-at lore behind the Infinity Stones. Not only did we get our first good look at the various races that populate the larger universe, but specifically of Thanos (our end-game bad guy) and the Collector (who, along with the Grandmaster, is a member of the Elders of the Universe): all of whom would play increasingly integral roles in the upcoming films. And, implicitly, it laid the groundwork for the Captain Marvel and Nova movies that anybody paying attention could have told you were coming down the line. In retrospect, Guardians of the Galaxy was as impactful for the MCU as The Avengers was all the way back in 2012. 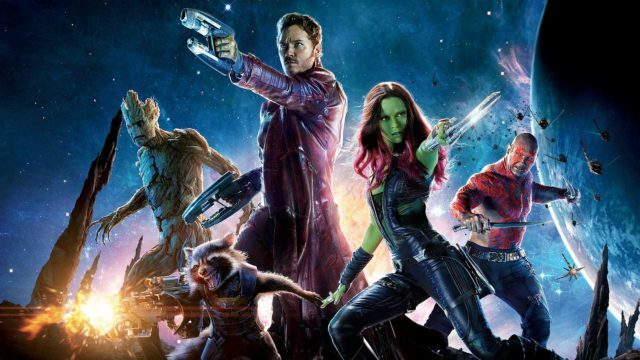 While The Avengers proved that regular crossovers and team-ups were not only possible, but highly profitable, Guardians of the Galaxy proved just how valuable all of Marvel’s superhero properties could be, so long as they were placed in the hands of talented, passionate creators and focused on developing what was unique to them. Guardians of the Galaxy is about a rag-tag team of foul-mouthed space pirates. And because of all of the multitudinous ways that it differed from Iron Man, Hulk, Thor and Captain America, it drew back a lot of burnt out fans that had given up on the genre entirely.